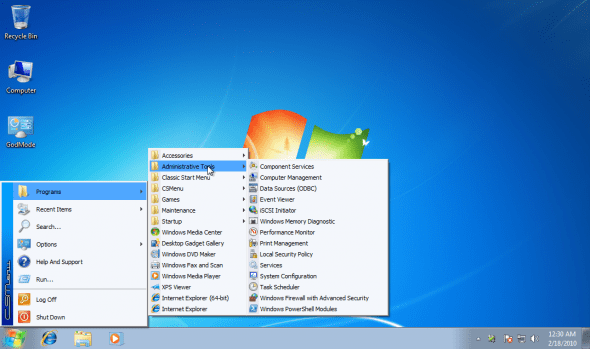 In Windows 7 and Windows Server 2008 R2 it is not possible easily revert to the original, Classic Start menu that was used since Windows NT 4.0 SP6a with IE 4 and the Active Desktop addition. The classic version was previously included in all MS operating systems, including Windows 95/98/ME/2000/XP/2003/Vista/2008. 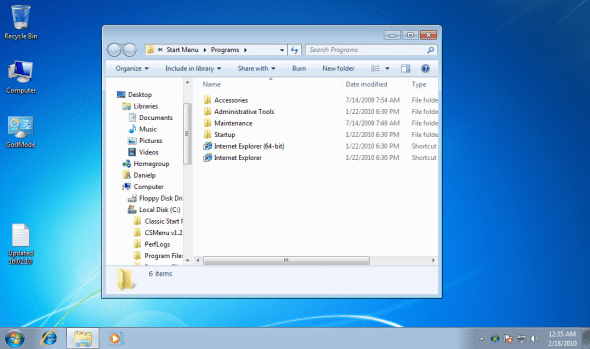 While in Windows XP and Windows Server 2003 we did get a new looking Start menu, it was still possible to right-click on it and in its Properties window, get it to use the Classic menu. 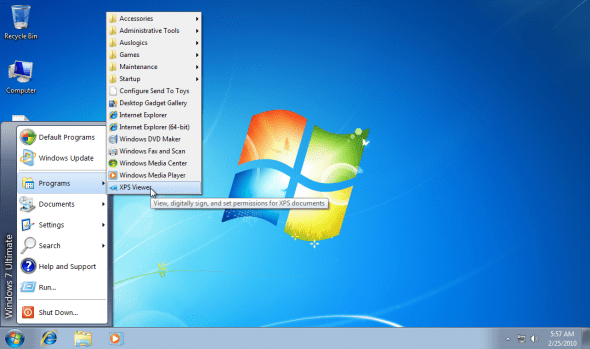 Why did Microsoft decide to remove the Classic Start menu option in Windows 7 and in Windows Server 2008 R2? I don’t know. 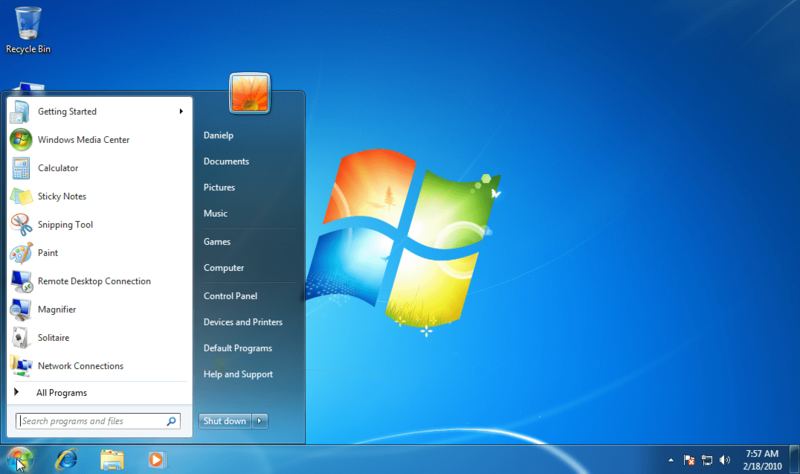 Personally, I like the new way the new Windows 7 Start Menu works, and have gotten used to it a long time ago. Classic Shell is free and takes up very little memory. It changes the Windows 7 start menu to classic and it looks exactly the same like what you see in Windows XP. The nice thing about it, besides being totally free, is that when you type the first letter of a program or folder it brings you to the correct menu. BTW, if you press SHIFT and click on the Start menu, you’ll get to the original Start menu, so you can in fact use both, as the same time. “CSMenu” is a small application for Windows 7 which can bring the Classic start menu back in Windows 7. You just need to install it and run the application. 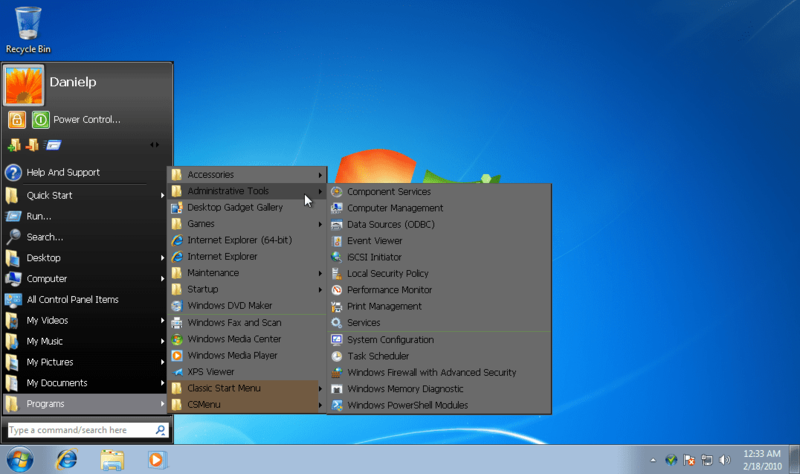 There is also a portable version available so you can run it without installing. Free to use, this is a cool tool. However, please make sure you read the following note. 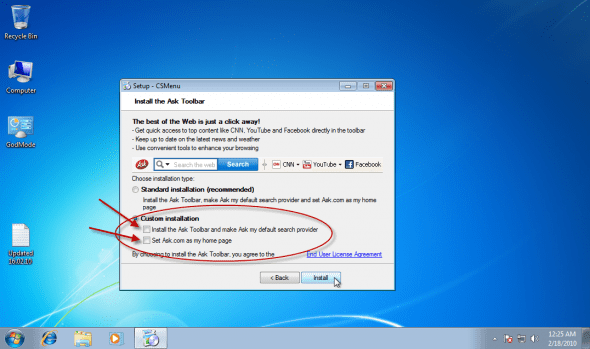 CSMenu will prompt you to install the ASK dot COM toolbar. While not an actual malware, I would never recommend ANYONE to install that toolbar unless you’re looking for trouble. Therefore, while installing CSMenu, please make sure you select “Custom Installation” and that you manually remove the 2 check-boxes, unless you really really need the ASK dot COM toolbar. Here too, if you press SHIFT and click on the Start menu, you’ll get to the original Start menu, so you can in fact use both, as the same time. 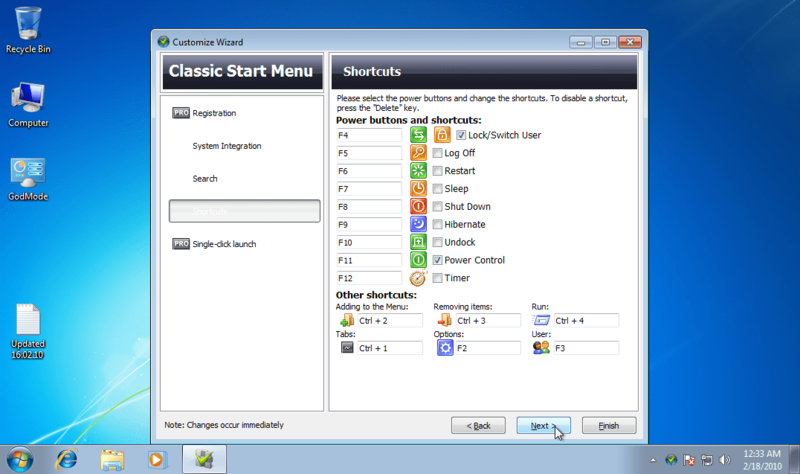 Once installed, you’ll get a tray icon that will let you customize some settings in the program. 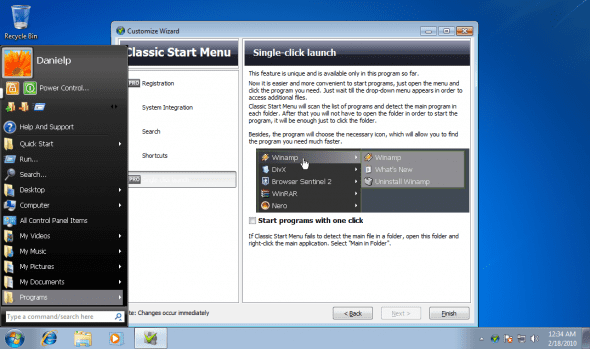 It’s worth noting that during my testing I found 2 issues that cooled my enthusiasm: The first is that once enabled, and once you clicked on the Start menu and opened one of the Program folders, if you click away from the Start menu it will not go away, it’ll stay opened on your desktop and will only close either after running a program (and program) from the menu, or by clicking on the Start menu icon. 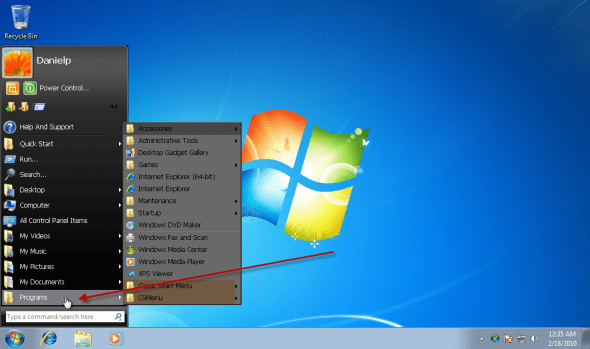 The second issue I found is that one click on the “Programs” folder opens the folder in Windows Explorer instead of expanding the folder’s contents. That said, if you really need to get your Classic Start menu back on Windows 7 AND are willing to pay to get it, Windows 7 Classic Start Menu is a valid option. Personally, I would go for the first freeware option.